Ritmüller has been a standard of musical excellence since the name was established in Germany in 1795. Under the auspices of the Pearl River Piano Group, the brand has been elevated to an exciting new level of quality and musical virtuosity. Every part, every design element, every manufacturing process has been crafted to result in producing the warm, rich “singing” tone that defines a world-class piano. In fact, Ritmüller’s new models have earned raves from the piano industry, including a stunning endorsement from Larry Fine, publisher and editor of pianobuyer.com and The Piano Book. Now recognized in concert venues around the world, Ritmüller grand pianos capture the ultimate in European craftsmanship while reflecting the very latest in music technology. Sought-after by the international music industry, Ritmüller upright pianos deliver quality sound at an exceptional value. Highlights of two great artists visiting our booth at the 2019 NAMM Show in Anaheim, CA. The amazing Quennel Gaskin, composer, producer and recording artist from New York graces us with a tune on the Ritmuller GH212R 7-foot Grand Piano. Listen to his comments at the end! Second, the great Jesus Molina and Friends band stopped by and wowed visitors the at our booth! Jesus is also playing the Ritmuller GH212R Premium Grand Piano! Ritmuller Premium Series Grand Pianos are often sought after for their sweet, classic tone, are excellent choices, with European craftsmanship and design, tapered solid spruce soundboard, Renner concert grade hammers, multi laminated beech pin block, functioning duplex scale and much more. 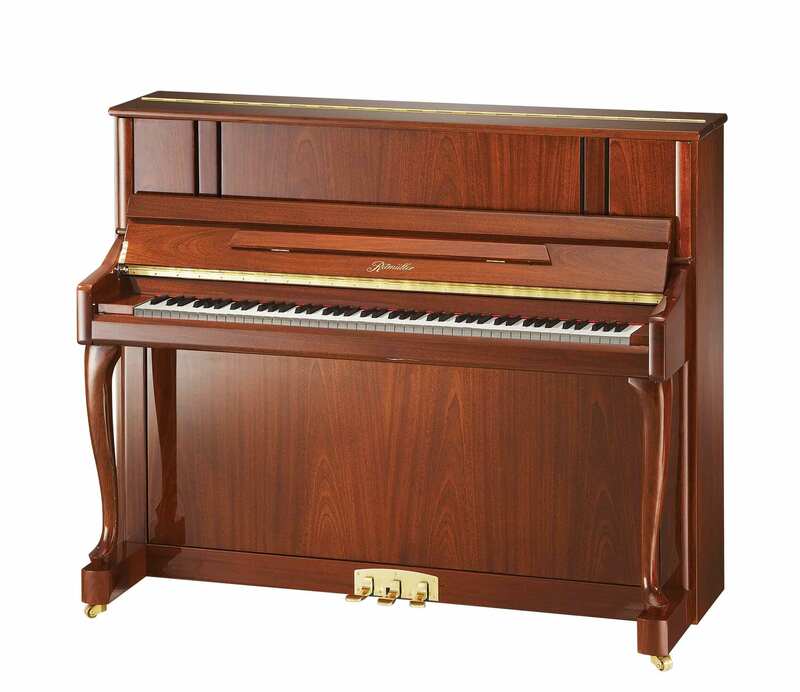 How does it feel to sit down to your new Ritmüller piano and see what she can do? Jonathan summed it up recently, documented by Shawn Hoar from Shawn’s Pianos in West Hartford, Connecticut. In one word, the moment was Awesome! A graduate of the Academy of Performing Arts in Prague, Kristina Henckel is now a Ritmüller Artist. She is an award winning performer who most recently was guest pianist with the internationally acclaimed Rimsky-Korsakov String Quartet of St. Petersburg, Russia. Her concerts performed on the Ritmüller include the Tacoma WSMTA Four-Piano Concert and UP for Arts Concert Series. She is currently finishing her dissertation titled A Pianistic Analysis of Bedrich Smetana’s Piano Cycle Dreams as a doctoral candidate in Piano Performance and Piano Pedagogy at the University of Oklahoma. We are so proud to have her on our team. The result is a collection that compares admirably on every level. The precision components of the new pianos are produced by advanced CNC digital machinery then assembled by expert craftsmen to ensure a blend of both technical superiority and artistic excellence. Rӧslau strings and Louis Renner premium hammers from Germany, ebony wood sharps, and solid spruce soundboards are just a few examples of the standards of quality and workmanship that set the bar for the Ritmüller brand. 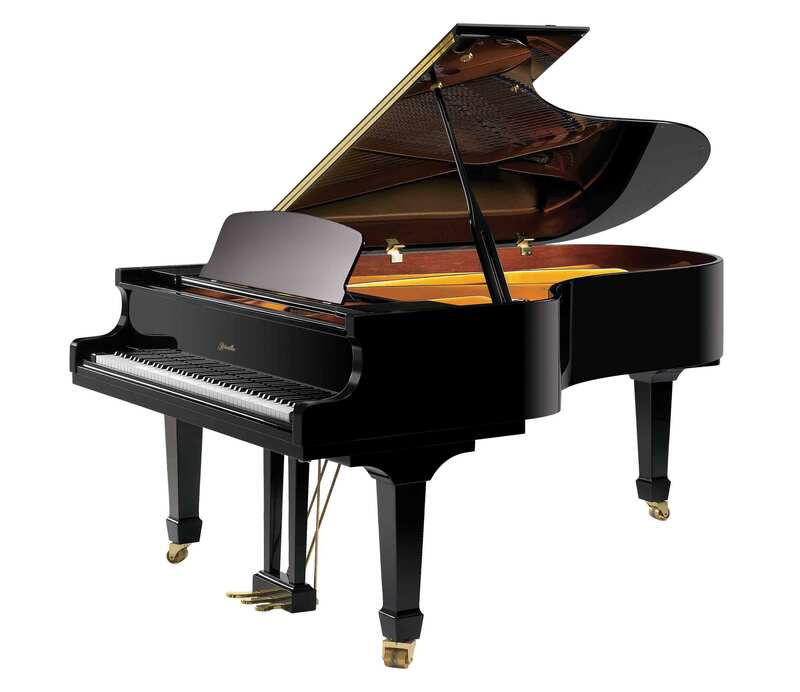 The new Ritmüller pianos are manufactured by the Pearl River Piano Group in the world’s largest piano manufacturing complex. They have received both the ISO 9001 Certificate for Management System Standards and the ISO 14001 Certificate for Environmental Management Systems.